Ilankai Tamil Sangam, USA, Inc.
How many Ceylonese/ Sri Lankan MPs have suffered the humiliation of losing their houses, professional collections and property to torching by state-sponsored vandals, and had to escape for his life from these vandals, and that too in the constituency he represented in parliament? The proliferation of outrageously faulty information on the ethnic confrontation between Sinhalese and Tamils in the pro-Sinhala websites has become the bane of budding Sri Lankan scholars and students. One of the notable victims of this misrepresentation is Vettivelu Yogeswaran (1932-1989), who represented the Jaffna electorate in the Sri Lankan parliament from 1977 to 1983. Along with A.Amirthalingam, his senior colleague and leader, Yogeswaran’s life came to a premature end in July 13, 1989. In reality, as I have indicated in the Front Note to the part 2 of this series, the assassins of Amirthalingam and Yogeswaran were local relays [rogue elements in the LTTE], who were manipulated by directions from neighboring India’s agency of deception. Nevertheless, the pro-Sinhala websites, as well as some Indian websites manned by the agencies such as SAAG and SATP, have ‘adopted’ Yogeswaran as their own for propaganda purposes. The naked truth is that, while he was living, Yogeswaran worked against the elements, irrespective of ethnicity, who hated Eelam Tamil nationalism and who spew anti-LTTE venom with abandon. Thus, to counter the muck posted by the mischievous elements in the anti-Eelam websites, I present below the thoughts and words of Yogeswaran, who was indeed closest to the LTTE leadership among the TULF representatives of the 1980s. This was why the handlers then working at the Indian agencies of deception scripted their plot to assassinate Yogeswaran and lay the blame for the deed on the LTTE. Twenty-five years ago, Yogeswaran was the victim of the aggression of unruly elements in the Sri Lankan law enforcement forces on June 1, 1981. He escaped from the threat to his life. But his house in Jaffna was burnt down on the night when the pretenders of Sri Lankan Aryan Buddhist Nazism thrilled themselves by setting fire to the Jaffna Public Library. Even the then Sri Lankan President, J.R.Jayewardene, without any semblance of remorse, chided and arrogantly tarred Yogeswaran for his closeness with Tamil militants, in an interview he gave to the India Today magazine’s senior editor S.Venkat Narayan (Sept.1-15, 1981, pp18-19). I provide below the two questions which were asked and what Jayewardene opined. Narayan: “In Jaffna people are very upset. The policemen set fire to the 50-year-old library and burnt 97,000 valuable books. They also set fire to a TULF MP’s house. Jayewardene: That’s because they think he is in touch with the terrorists. Narayan: It seems they were trying to catch him so they could kill him. Thus, the personal pathos mixed with the courageous sentiments, in the speech made by Yogeswaran on June 9, 1981, can hardly be reproduced by any of the contemporary Sri Lankan MPs, unless they also undergo the same torment experienced by tens of thousands of Tamils, as Yogeswaran himself had experienced during the infamous Jaffna torching of June 1981. As such, this speech is uniquely characterized by a sentimental montage featuring agony, helplessless, scare, shame and last, but not least, anger. 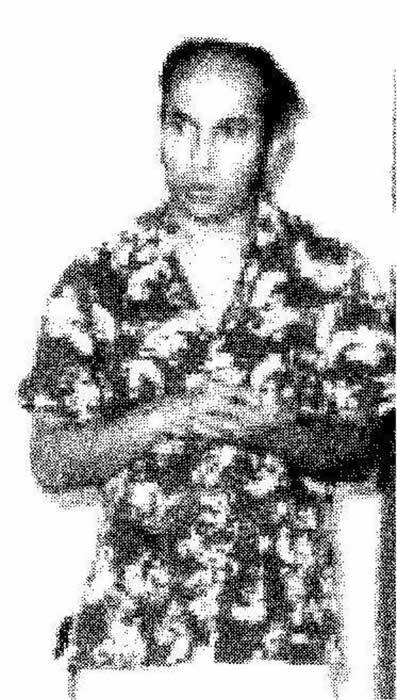 Yogeswaran was chosen by the then TULF leadership to contest the prestigious Jaffna constituency in the 1977 general election, over the claims of G.G. (Kumar) Ponnambalam Jr. The latter had then staked his claim on the foundation that his father G.G.Ponnambalam had represented the Jaffna constituency for long (from 1947 to 1960 and again from 1965 to 1970). The rivalry between Yogeswaran and Kumar Ponnambalam caused severe heat and much anxiety among the Eelam Tamils. While Yogeswaran’s father, Dr.Vettivelu, was also well known and socially respected by the Jaffna Tamils, it was not an equal match to the political pedigree Kumar Ponnambalam carried. Despite such a handicap, Yogeswaran won the minds of the Jaffna voters in that 1977 election, and, as a result, Kumar Ponnambalam never forgave the snub he received from the TULF leadership. For Kumar Ponnambalam, more than a decade, as well as the untimely tragic deaths of Amirthalingam and Yogeswaran in 1989, was needed to erase the hurt feelings and transform himself into a defender of Tamil rights in the 1990s. I provide below three periodic items which portray truly Yogeswaran’s thoughts. (1) The complete text of Yogeswaran’s speech in the Sri Lankan parliament on June 9, 1981. (2) Segments from Minister Cyril Mathew’s speech in the Sri Lankan parliamet on June 9, 1981. (3) An excerpt from the New York Times of September 11, 1981 report by Michael Kaufman to whom Yogeswaran has poured his hurt feelings. A verbatim transcript is provided below. Honorifics of participants have been omitted for convenience. Like that of Amirthalingam’s speech, this speech by Yogeswaran was also heckled by G.V.Punchinilame, the then UNP MP for Ratnapura. V.Yogeswaran: Mr.Deputy Speaker, from 1977 onwards, I have participated in a number of debates on the Floor of this House. Today my voice is my own but my clothes are all borrowed. The verti I am wearing is a gift from the Member for Trincomalee [R.Sampanthan], the national banion is borrowed, the banian I am wearing under it is my father’s. So, as I told you at the outset, only my voice is my own. Mr.Deputy Speaker, for the last few days I have had plenty of time to think to myself on the events and the incidents that had taken place. I thought to myself that the Tamil community, the Tamil nation must learn certain lessons from the events of the 1st to the 8th, and the Sinhala nation must learn certain lessons from the incidents from the 1st to the 8th. I learned some lessons from the incidents from the 1st to the 8th. As regards the Sinhala nation, after listening to the reactions of the House to the speech of the hon.Leader of the Opposition [A.Amirthalingam], I think they have learned nothing, they have forgotten nothing. As regards the Tamil nation, I assure you, Mr.Deputy Speaker, and everyone in front of me that the Tamil nation has learned the lesson correctly. They have drawn the correct conclusions and the correct inferences from these actions. I assure you of that. Mr.Deputy Speaker, today I am left with nothing. I have no worldly possessions of my own except my heart which is beating within me. It is working quite correctly, quite firmly. And I am more than ever convinced, more than ever determined, more than ever resolved to free my people of this tyranny, this tyrannical rule. I am more than ever determined about that. I told you, Mr.Deputy Speaker, the lessons the two nations must learn, which one nation, bitterly, has not learned and the other has bitterly learned. As for me, before I could recount the incidents which happened at my residence, they have been detailed graphically by the hon.Leader of the Opposition. As far as I am concerned, the lesson I have learned is this. You have let loose – the Government, one half of the Government has let loose – on an unarmed people violence unparalleled in any civilized country during peace time. My personal view is, God wanted me to live, and miraculously I escaped. Even that day as I was running I told my wife, ‘This is the end of the story’. But God has willed that this should not be the end of the story. Perhaps, He has burned all my clothes, He has burned my house. I have no worldly possessions, nothing of my own. Perhaps, He has told me, ‘You speak eloquently of freedom for your people but sometimes you dress too flamboyantly; do not do that. You live to a certain extent luxuriously; do not do that’. I have learnt those lessons. These two nations must learn, I have learnt the lesson. As I told you, Mr.Deputy Speaker, on the fateful 31st night I never expected to survive. I never expected my poor wife to survive. Standing here today I sometimes wonder whether I am taking part in my own obituary reference. I force myself to say, ‘No I am addressing this House on a very important debate’. The hon.Leader of the Opposition has described graphically the events that took place. I will only tell you about the dastardly attack on my house. This must be a unique instance of a parliamentary representative living in the electorate with his people, living among the people whom he loved and perhaps loved by them in return, having had to hide, to hide from house to house. From whom? The custodians of law and order! V.Yogeswaran: I will deal with you before I conclude! G.V.Punchinilame: You wanted Rs.30 lakhs from the Government for 17 perches. Just now you said that you did not have anything. V.Yogeswaran: That is my father’s. He bought that property with his sweat. G.V.Punchinilame: It is written in your name. V.Yogeswaran: It is my father’s hard-earned money. He has honourably made that money. You are backing the racketeer, the tenant. I know, I will deal with you! Deputy Speaker: Order, please! Please address the Chair. Mr.Deputy Speaker, while they are laughing the whole world is laughing at them! You have burnt a part of a great city and you show nothing but your derisive laughter! Those who read this Hansard will look down upon you. Do not do that. Do not laugh. This is a serious matter. So, Mr.Deputy Speaker, I tried to contact the G.A. [Government Agent], Jaffna, also but I could not get at him. I booked a few calls, one to the Deputy Minister of Defence with whom I had talked over this matter even earlier. I even wanted to talk to the Hon.Prime Minister [R.Premadasa]. I booked a call to Trincomalee where my leader was. I was waiting for those calls. Just opposite my house there is a fairly important junction; the Point Pedro – Hospital Road Junction. From the junction I could hear loud noises. My wife told me that they would definitely attack our house. I said, ‘No, They might shout and go away. Let me get through to the Hon.Prime Minister and the Deputy Minister of Defence and tell them what is happening’. She was adamant that we should go away, but I did not go. I opened my office door. Through the office window I could see my front gate. I saw 50 to 100 people, some in khaki uniforms, some in white banians and khaki shorts, some in sarongs, some armed with rods, some with swords and some with rifles, standing near the gate. I really could not comprehend what the situation was. They tried to open the gate forcibly. The gate was locked at that time. Those people were terribly intoxicated. Before they came to my house they had looted foreign liquor shops and consumed ‘White Horse’ whiskey and ‘Hennessy’ brandy. This was liquor that was alien to them and it had gone to their heads. They could not open the gate. They pushed the gate. It did not open. I saw an officer shoot at the lock. Then I told my wife that it was not safe to wait there any more, and we both ran. We jumped over two or three walls and got to safety. Then they opened the gate. They poured something on all the doors andset fire to them. I climbed over the wall and escaped. My wife also climbed over the wall. After that I missed her. Forty five minutes after I had hidden in my neighbour’s house I scaled the walls and wanted to look where my wife was. There was one police officer in banian and khaki shorts. He got hold of me by the hand, but as he was intoxicated – I told you earlier that most of them were intoxicated – I was able to wrench myself away and again scale over the wall and escape. Till about 3 or 4 o’clock nobody knew where my wife was. Then we went and searched in the neighbourhood and found her. In my premises the jeep was securely parked in the garage, and the garage was locked. They pushed the jeep out of the garage, hammered the jeep with iron rods, pushed it on to the road, poured petrol on it and set it on fire. The jeep was reduced to cinders. There was a Peugeot 404 car which a friend of mine had parked there. They set fire to that car too. I presume they must have looted some jewellery, but all the jewellery was burnt or missing; I have not seen a single item yet. The typewriters and all the office equipment I had were completely burnt. I am an attorney-at-law and a notary public. All the deeds, protocols and originals of hundreds of deeds were also burnt. About 12 or 13 young boys had given me their passports to alter them from ‘Middle East’ to ‘All Countries’. I told them that I would attend to it when I came to Colombo on the 8th or 9th to attend Parliament. I had told them that they did not need to come. All those passports were burnt. Really, my wife was left with the gown she was wearing and I was left with the yellow sarong I was wearing at that time. That is all I have in my possession now. Mr.Deputy Speaker, that is the protection some hon.Members spoke about. That morning I went to my father’s house. He is a doctor. He lives about 300 yards away from my house. My father and mother live there. I have had to live incognito in my own electorate and among my own people. I went and stayed elsewhere. That day at 5 pm some army men had gone to my father’s house and wanted to know where I was. He had told them; ‘I do not know where he is. You have to give me one or two days’ time. I can contact him.’ They said: ‘If we want we will come tomorrow morning.’ At 2 am about 7 or 8 officers had come and scaled the walls of my father’s house. Both my father and mother are very old. These policemen had scaled the walls, banged at the door and shouted, ‘Open up; we are police officers’. They opened the door and the policemen asked ‘Where is your son?’ They had said, ‘We do not know where he is. He is staying with some of his friends.’ They they asked, ‘Can we search the house?’ They searched every room and under every bed on the first night they had come to offer protection. What did they want? They were searching under the beds. They wanted to give protection, not at my house, but at my father’s house. They harassed these poor people. I feel sorry that I entered politics and gave room for my parents to be harassed at this age. But there are certain duties and rights that we have. We also do our duty by our people. So that is that. Mr.Deputy Speaker, they went and harassed my father. My father had said, ‘I do not know where he is’. They searched every inch of the house and they went off. So, Sir, this whole question of offering protection is all eye-wash. As I told you earlier, it was really a miracle that I escaped. They had gone to my father and harassed him. Mr.Deputy Speaker, there is another small matter which I want to refer to since the Hon.Minister of State [Anandatissa de Alwis] is here. During this period, my father-in-law died of a heart attack. This incident also contribute to his heart attack. The newspapers did not publish his death notice. My father-in-law’s relatives thought they would make a radio announcement about his death. In that announcement they had said, ‘So-and-so, father of so-and-so and father-in-law of so-and-so, MP for Jaffna.’ But what did the Sri Lanka Broadcasting Corporation do? They cut, ‘MP for Jaffna’. The people are electing a Member of Parliament for Jaffna, but the Sri Lanka Broadcasting Corporation deletes the words ‘MP for Jaffna’. They did not like it. But I think they would have charged for the total number of words – I do not know. So, Sir, one arm of this Government had unleashed terror on unarmed, innocent people – violent, unprecedented terror – (Interruption). They will teach you (Interruption). You laugh now. But they will teach you. I ask the Hon.Minister of Lands [Gamini Dissanayake] to see what trials and tribulations the British soldiers are subjected to in Ireland. But do they go and burn the houses of Members of Parliament or of the ordinary people? (Interruption) Your duty is to restrain them. They must be a disciplined force. Let the police force be disciplined. I have my own idea of the reasons why these persons were sent to Jaffna that day. I will deal with that later. There are a large number of speakers to follow me. I only related the incidents concerning the attack on my house. There are a number of incidents which have to be placed on record. Perhaps, other speakers will do so. The Hon.Minister of Lands and Land Development said, though belatedly, that he was extremely sorry for what happened in Jaffna. I accept that. Speaking for myself, as I told you earlier, one arm of your Government has tried to do untold damage to property and to myself, but it has failed. What future plans that arm of your Governmet has in store for me I do not know. Whatever plans they have, I think somebody above will foil such plans. I have full confidence in that. In spite of all the trials and tribulations we undergo we have a commitment to God which we will pursue with determination and resoluteness. Thank You. Cyril Mathew: Just prior to the Kurumbachitty double murder and the robbery of half a million rupees worth of jewellery from the pawn shop and the Neerveli double murder of two constables and the bank robbery of Rs.8 million on 8th January, all the terrorists met and discussed what their attitude should be to the DDC elections and the visit of the Prime Minister. The meeting was in the house of the MP for Jaffna (Interruption). V.Yogeswaran: I live in the heart of the town, Mr.Minister. I am not such a fool. It is just a few yards from the police station. I am not such a fool. I live 50 yards away from the police station. V.Dharmalingam: It was on the information given by the Minister that his house was burned. He seems to have given such an information to the police and the police burned down his house. V.Yogeswaran: Now we find what it is. Now we know. You are the man responsible. R.Sampanthan: You get it done. You are responsible. V.Yogeswaran: Now we know that you got it done. You are responsible. Now we know who was responsible. M.Sivasithamparam: In fact, the police who were burning the house of the hon.Member for Jaffna said he was harbouring terrorists. Now we know who gave that information. That is the important thing. The people who burnt the house said, ‘We are burning your house because you harbour terrorists.’ We now know who gave the information. Deputy Speaker: Allow him to continue. V.Yogeswaran: I reiterate that I live 50 yards away from the police station. I am not such a fool to hae meeting there. I completely deny that I had a meeting there. Let him withdraw that. Deputy Speaker: You must accept his explanation. Yogeswaran’s interview with Michael Kaufman of ‘New York Times’ in Sept. 1981. ‘For 29 years we have been seeking federal arrangements and received nothing’, said Vettivelu Yogeswaran, a 47-year old lawyer and the Member of Parliament from Jaffna. ‘Eelam is the only solution’. Mr.Yogeswaran was one of 11 Tamil candidates in the north who won election on a platform calling for secession and partition. Their party, the Tamil United Liberation Front, has the second largest bloc in Parliament and is the official opposition to Mr.Jayewardene’s United National Party. Within the Tamil front, Mr.Yogeswaran is a hard-liner who accepts the inevitability of violence. ‘Eelam cannot be won by other than violent means, the majority will never simply accommodate us’, he said. When asked whether fighting a vastly larger group was not equally hopeless, the lawyer responded with anger. ‘The Sri Lanka army is just rabble’, he said. ‘They are a drunken, indisciplined force. Just 5,000 young Tamils if they had arms could beat them easily’.